So as you may know by now I make alot of gifts! 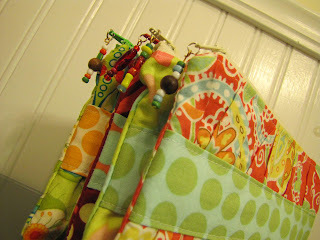 I also make alot of bags and little things with zippers. 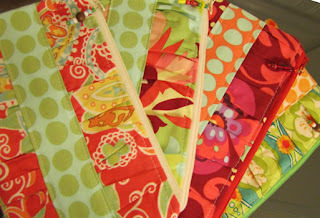 Zippers are nothing to be afraid of, and they are fun to buy, I know this may seem strange but if you browse the cute etsy shops that sell only zippers and you see all the beautiful colors they come in you start to want to make things using zippers, so I like to buy a rainbow pack of zippers and keep them in my stash. 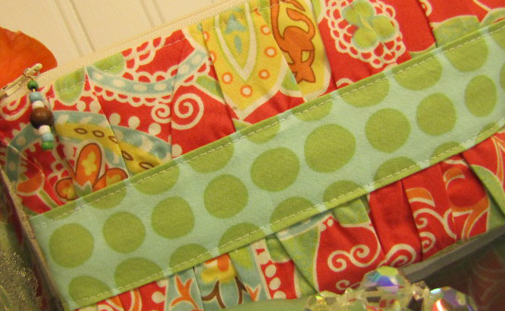 Colored zips are so much more fun than just plain white ones, also, they are much cheaper to order on etsy than to buy one at a time in the store. One more reason to love etsy, like we need one! 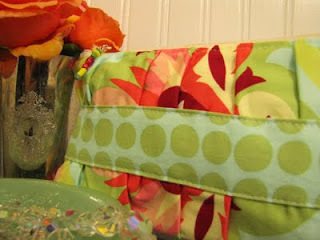 Here is the shop I got my zippers from, check it out I know you will be inspired. Ok back to the mothers day clutches, if you are a follower of sew mama sew you may recognize this post from a while back, they have the best gift list projects ever! 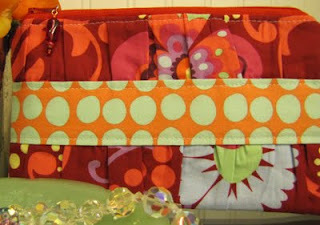 This is the glift list and here is the bag tute I made. I followed the pattern as written, turned out perfect. I assembly lined 4 bags this made for quick work, as she says it takes longer to pick out the fabric than to actually make the bag, well that was the same for me, and if you make a few at a time you really make the most of your time. 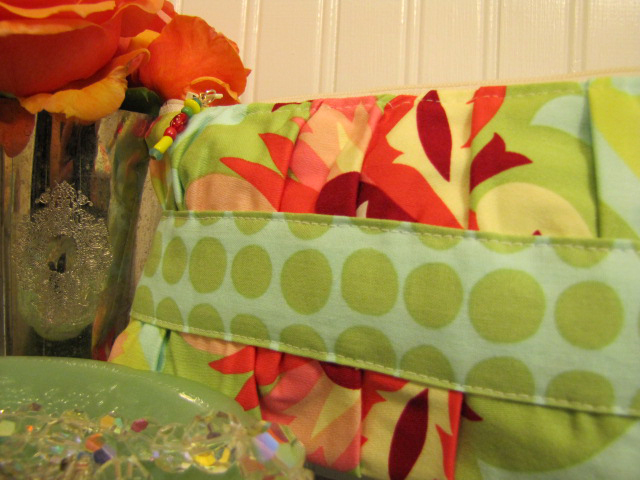 for this bag I used Amy Butler dec fabric Trumpet Flowers in Pink so I did not use interfacing, the other three i used quilters cotton and interfaced. This one is for my sisters birthday this week. I decided for the zipper pulls to make little beaded dangles instead of the usual ribbon, makes it a bit more girly and unique. 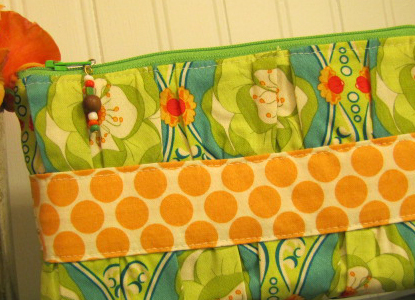 and since I don't sew for myself very much I needed one too! you may recognize this fabric from my previous post on wet bags, Sandi Henderson's Meadow Sweet, and since I have lately been obsessed with teal, green, tangerine and coral I this fabric was calling my name!